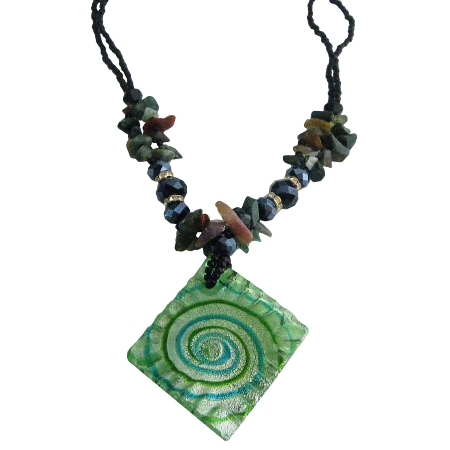 Cute dazzling & sophisticated the speckled Green Square murano glass Pendant necklace accented with Ocean Jasper stone nuggets & Jet crystals with silver rondells spacer is an excellent addition to your fashion ensemble. Whether you use it to add spice to your dressier clothes or dress up your casual outfits this unique speckled Green square murano glass pendant is the perfect tool for the job. Crafted with a keen eye to quality design & fashion.